Promote fast drying by storing your Scrub Daddy or Scrub Mommy on a Daddy Caddy. Sticks to shiny surfaces like tiles or a stainless steel sink. 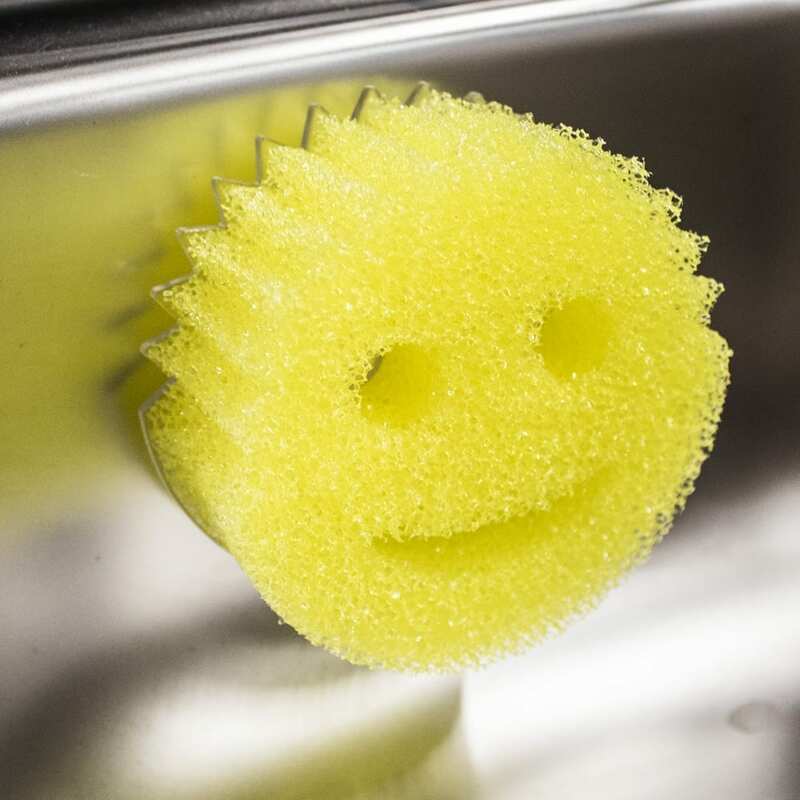 Display your smiling scrubber proudly on this sponge holder. Keep your kitchen sink happy with this fun and useful sponge holder. 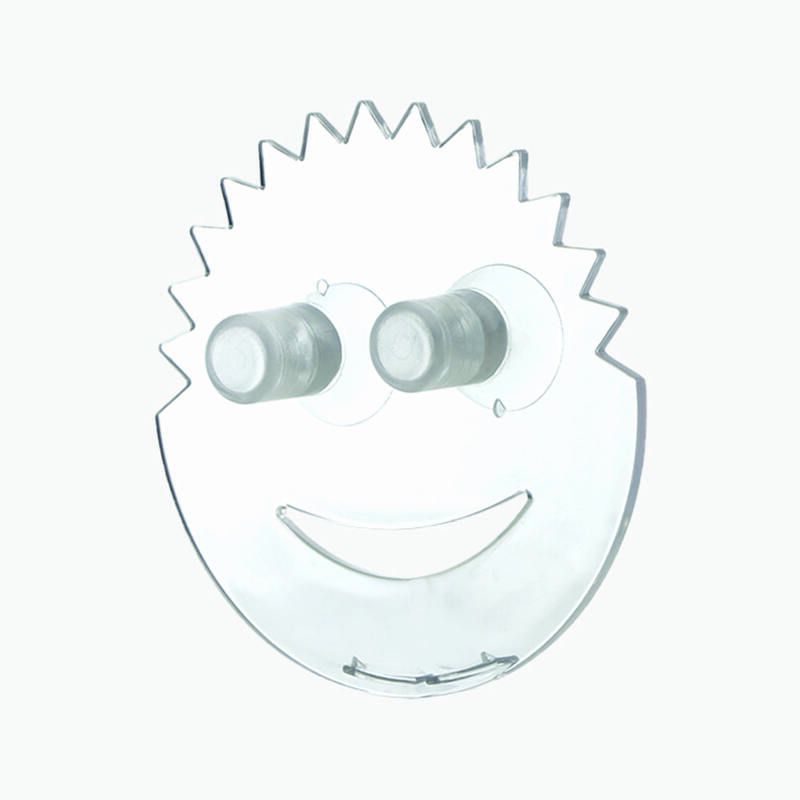 Designed for the perfect fit for your favorite smiley sponge, the suction cup base of this happy holder secures to sinks and tile walls. Simply place the holder in/on/around the sink using the durable suction cup and keep your counters clear of a damp sponge! This holder can be anywhere you use the popular happy scratch free scrubber. Can not speak highly enough of my scrub daddy!! I absolutely love him, he’s easy to use and worked amazing at lifting rust from my bath that all other products had failed at lifting, can not wait to repurchase. Fantastic buy and looks good. I have two, one sticks well to my sink in my utility room and in my kitchen I have it stuck to my kitchen tiles. Brilliant idea. The Daddy Caddy helps keep your work surface clutter free. A great company to buy from, service is good and I would most certainly recommend them. Very happy. Great product and can place it wherever I need it to be.